Speaking late on Thursday, he said the aim was to boost the country's international reserves and its foreign currency reserves and to halt the rise of the black market dollar. Despite having the world's largest proven crude oil deposits, Venezuela's foreign reserves have dwindled to $9.7 billion while it must pay off some $8 billion this year. Maduro said that sales of the petro—Venezuela's new cyber currency which was launched in February—had brought $3.3 billion into the state coffers, of which $1.7 billion would be set aside for importing "food, medicine and industrial goods." Of the remaining $1.6 billion, $1 billion would be transferred to Venezuela's Central Bank on Friday "for currency auctions and to continue fighting the devil," he said referring to the so-called "black dollar." Struggling to overcome chronic liquidity shortages and burdened by US sanctions, Venezuela launched the first government-backed cryptocurrency in the hope that it would lead the crisis-torn nation out of the financial woods. Venezuela's economic woes have much to do with the slump in recent years in the price of oil, which accounts for some 96 percent of the country's revenue. US economic sanctions have also taken a heavy toll. Venezuela's government has accused the opposition, the United States and Colombia of waging an "economic war" on the country aimed at overthrowing Maduro. It has also blamed the country's cash crisis on mafias accumulating cash in order to speculate. 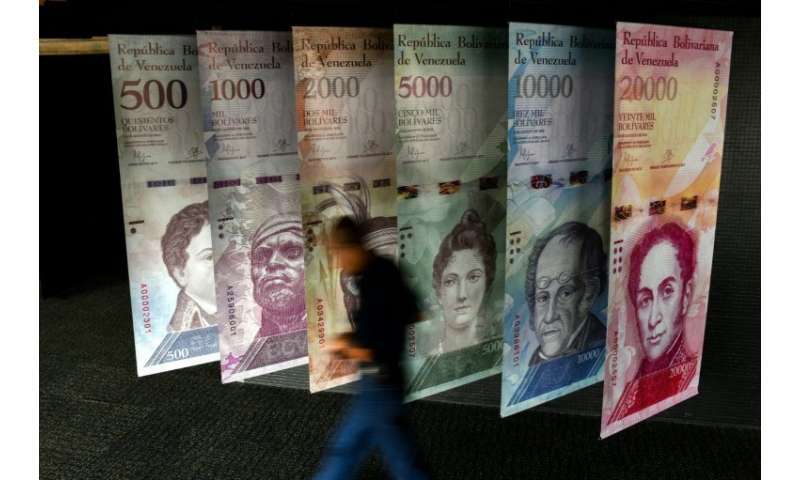 Last week, the IMF said Venezuela's economic collapse ranked as one of the worst in modern history, with massive hyperinflation likely to see prices soaring 13,000 percent this year. It's the socialism, stupid. The cryptocurrency cash won't help anything. Strangely, all the other oil exporting nations in the world seem to be still making a ton of money even when oil prices go down. The Venezuelan government must just be uniquely unlucky. For those of you who still think socialism is awesome, this is ultimately what happens. Every single time. Unless you start implementing market reforms (read: let people own stuff and make a profit; in other words, try a little freedom). It's unfortunate that so many gullible people who are envious of rich people (does "economic inequality" sound familiar?) can be persuaded to implement this kind of government. Kinda true. France was ruled three times by socialist presidents. By then, either you could protect your children all day and night and everything was fine, or you couldn't and better sell them directly to at least profit from them getting eaten by hungry, poor people.